Delegations from Cuba and the United States will meet in Havana tomorrow, December 7, for the fifth session of the Bilateral Commission, Cubaminrex site reported. The Cuban delegation is chaired by Josefina Vidal Ferreiro, Director General for the United States in the Ministry of Foreign Affairs, and its US counterpart is headed by Mari Carmen Aponte, Acting Assistant Secretary of State for Western Hemisphere Affairs. The agreements of the fourth meeting, held on September 30 in Washington, will be reviewed and a balance will be made on the results achieved since the creation in August 2015 of the Bilateral Commission as a mechanism to follow up on the ties between the two countries, after the reestablishment of diplomatic relations. In addition, there will be defined actions to be held in coming weeks to progress in the process of improving relations, including high-level visits, new cooperation agreements in areas of common interest, technical meetings and dialogues on issues of bilateral interest. 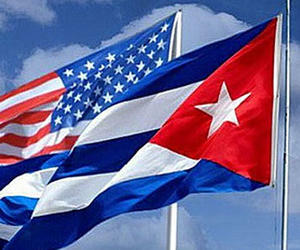 The representatives of Cuba will ratify that the lifting of the financial, economic and commercial blockade; the return of the territory illegally occupied by the Naval Base at Guantanamo; and the elimination of subversive radio transmissions will be essential to normalize relations between Cuba and the United States.